A Bosnian poker player named Dejan “dejanaceking” Divkovic has won the event#42 of World Championship of Online Poker series 2016. 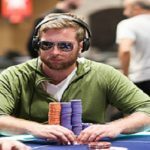 The tournament was of a $320 buy in Eight Game, which received 476 entries, 272 re-entries, and generated $224,400 as a prize pool. Top 95 finishers were paid out. The winner took home $34,439.15, while the runner up of the game was an Austrian kuhns89, who took home a good $29,147.39 as winning share, in a two way deal in between first and second player. This is Dejan “dejanaceking” Divkovic second COPP title win at this series, because he already won Event #26 of Spring Championship of Online Poker, this year. 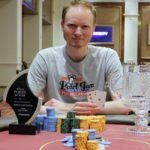 Viktor “Isildur1” Blom, a world champion of online poker didn’t have much to express, because he completed his journey at 17th position (chip lead). Some of Notable player earned from the tournament were Zzwwzzwwzz’s, got busted to 14th position for a total winning share of amount 2,269.20, Srinivasan 12th place ($2,269.20) and Chris “ImDaNuts” Oliver in 10th place ($2,975.94), whereas Brix couldn’t make himself through to the final table was busted to 9th place ($3,902.85). Seat#1, seat#2 and seat#3 belongs to players from Bosnia, Switzerland, and Russia and they were Dejan “dejanaceking” Divkovic (2023781 in chips), tvtotaliwin (1086653 in chips) and wadzon (2029013 in chips). 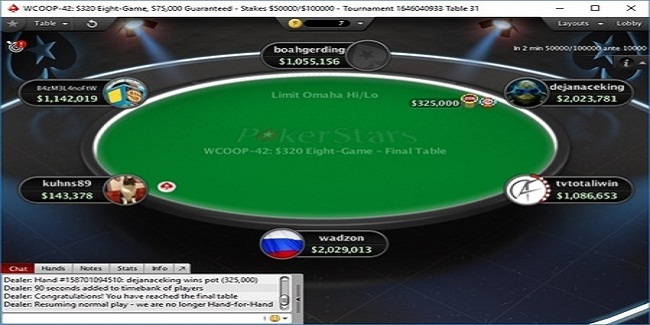 Meanwhile seat#4,seat#5 and seat#6 of the WCOOP Event#42 belongs to players like kuhns89 from Austria (143378 in chips), B4zM3L4noFtW from Argentina having 1142019 in chips and boahgerding from Germany(1055156 in chips). First player got busted from the table was an Argentinian B4zM3L4noFtW, who made $5,118 being sixth. 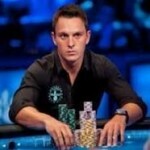 German boahgerding made $7,646 being fifth, while tvtotaliwin, pocketed $11,423.66 being fourth. Russian wadzon goes to third position for a total winning share of amount $17,066. In a deal in between top two players, it was decided that dejanaceking will take $34,439.15 and kuhns89 will collect $29,147.39. Real Poker Online provides you latest updates about poker in the UK or in the world. Do check UK Poker sites to enjoy real money online gaming either in UK or in Europe.